← Why are citizen led learning assessments not having an impact on home soil – and how can we change that? Since 2009-10, when India made eight years of education a fundamental right, the number of 6-14 year olds going to school has grown by over a million. 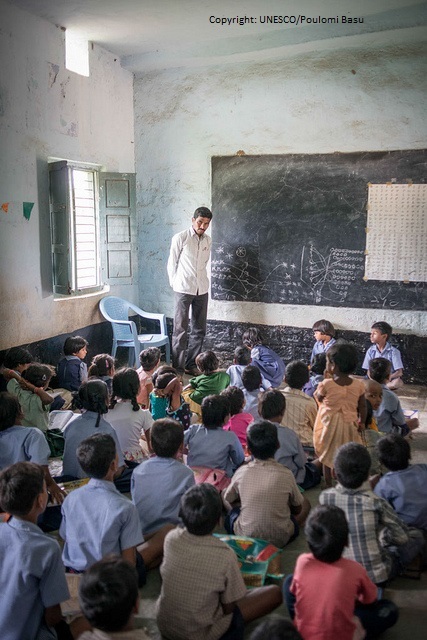 Analysing data from Andhra Pradesh, Young Lives India country Director Renu Singh shows that a rise in enrolment is associated with a worrying collapse in learning standards. Education has been enshrined as a Fundamental Right of each Indian citizen through the Right to Education (RTE) Act, 2009. RTE, launched in 2010, has contributed to over a million more children aged 6-14 enrolling into both government and private elementary schools across the country. India boasts the largest school system in the world with 1.44 million elementary schools, and almost 200 million students enrolled. Young Lives, a longitudinal research study on childhood poverty, has been following two cohorts of 3,000 children aged eight years (1,000 children) and one year (2,000 children) in undivided Andhra Pradesh since 2002. The first cohort of children turned 12 years of age in 2006 and the second cohort of children turned 12 years in 2013. The 2013 survey shows 97% of 12 year olds enrolling in elementary school, up from 89% in 2006. Given that Young Lives has a pro-poor sample, it is heartening to note that no major gaps in enrolment have been found across gender, caste, or urban/ rural location. However, there are inequities in terms of the type of schools children are enrolled in, with private school enrolment rising from 32% in 2006 to 41% in 2013. 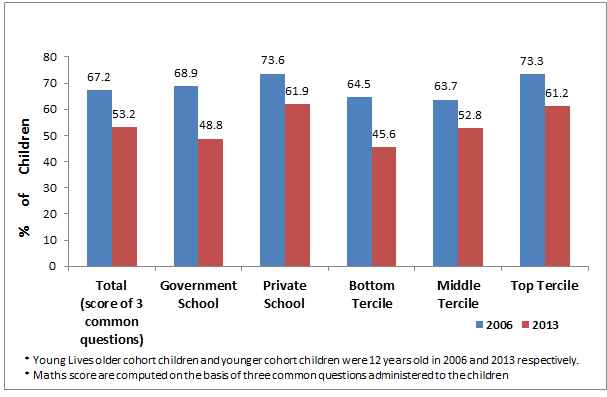 A high proportion of other Caste/ general category children (71%) and of the richest tercile (72%) were attending private schools in 2013, compared to 52% and 59% respectively in 2006. This highlights the segregation of the poorest children into public schools, while those who can afford to pay tend to opt for private schooling. The Young Lives survey finds a decline in mathematics test scores among children aged 12 in 2013, as compared to children of the same age in 2006. Mathematics tests scores for the same questions administered to children in the two rounds revealed that while 67% of the children in 2006 answered the questions correctly; this fell to 53% in 2013. The most severe decline is noticed in government schools (20 percentage points), yet surprisingly even the children in private schools and the wealthiest tercile show a decline of 12 percentage points each. This worrying trend of declining learning levels is also ratified by other national studies. For instance, the Annual Survey of Educational Research (ASER) 2013 found that while, in 2010, about 70% of Class V children (10-11 year olds) were able to do simple two-digit subtraction, this decreased to 54% in 2012. The Indian government’s National Achievement Survey of Class V students reported that those belonging to Scheduled Castes and Scheduled Tribes continue to perform poorly in subjects such as language, mathematics, and environmental studies. What explains the decline in learning levels? This decline in learning levels can be attributed to a multitude of reasons, including the vast expansion of the number of elementary schools in the country in the past decade, with no concurrent expansion in school management systems. The XV Joint Review Mission conducted by the Ministry of Human Resource Development (2012) highlighted that there were 25% vacancies in programme management personnel for elementary education at the state level, and this figure was 46% at the block level. 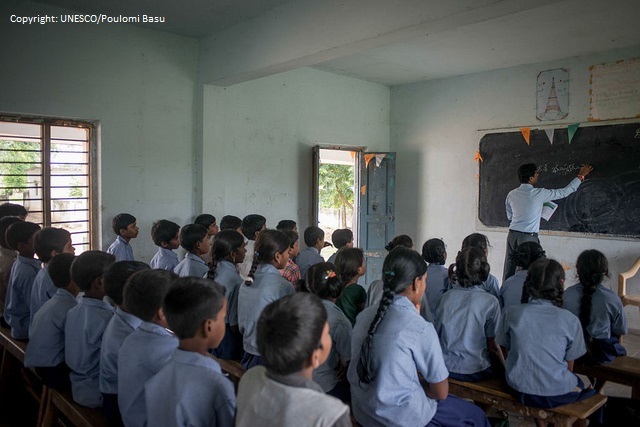 The focus of Indian government schemes has largely been on improving school facilities, infrastructure and teacher recruitment, while effective school monitoring and mentoring have remained sorely neglected. Despite increasing pupil-to-teacher ratios and teacher recruitment, 8.3 percent of elementary schools are reported to be single teacher schools in 2013-14. One study found that less than one-third of the teachers’ time in classroom was spent on student-centred activities, and students’ time spent on active learning gradually declined from 26.4% in Class II to 22% in Class VI. Conventional ‘chalk and talk’ methods of teaching continue to prevail in Indian classrooms. Furthermore, the ‘no detention’ policy adopted by Indian government that prohibits failing children in elementary grades has, in the absence of robust regulatory frameworks, led in many cases to ‘no learning’. This does not mean that grade detention should be advocated, but the no-detention policy together with the lack of accountability of government schools for children’s learning outcomes implies that children can continue in school until Grade 9 and then be ‘pushed out’ when they are tested. As the 2013/4 EFA GMR reaffirmed, achieving ‘Education for All’ cannot rest on access to schooling and enrolment alone. Real progress in education requires a meaningful curriculum, human resource management systems, and availability of qualified and trained teachers who have acquire the knowledge and pedagogical skills to improve student retention, attainment and achievement. The time has come to go beyond merely measuring access and participation, and to focus on teaching-learning processes and improved learning outcomes for all children. All stakeholders need to be held accountable for the skills and knowledge that students acquire. 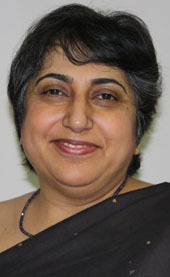 This entry was posted in Asia, Basic education, Developing countries, Early childhood care and education, Equity, Learning, Literacy, Marginalization, Millennium Development Goals, Out-of-school children, Post-2015 development framework, sdgs, Sustainable development, Teachers and tagged india, target 4.1. Bookmark the permalink. There are almost identical statistics from Nepal with for example a decline in pupils passing the school leaving certificate such that only 14% of those who enrolled initially pass! This is a horrendous situation that world education organisations seem to be turning a blind eye to. Reasons for the decline are well written here, but at their core is the shockingly low standard of teaching in turn caused by low entry standards, inadequate subject knowledge, poor pedagogy, hopeless continuous development. Take this a step further, and it is all down to government. I can agree with the words of Renu Singh but this can be rectified with the proper attention.. The traditional schooling was designed to pay less attention to learning & more to all other areas of schooling. Can someone come out with the so called learning outcomes? Is literacy the goal of education or its tool? Is this lack of understanding not behind the global learning crisis? Poor literacy outcomes can also be found amongst college graduates in Nigeria… What is next? I agree with you and keep posting and I also like you blog. It is very sad, that people sometimes blame no detention policy, sometime infrastructure and sometimes to students itself. The main solution is to inovlve student in teaching and to make it interesting by giving real life examples. The boring rote learning methods always create a tendancy of separation of layer between real life and education,and the children which are from well settled families and are pressurized for education think that education is about memorization and marks. The students who got chance to escape, just escaped it. No one is caring how much our students are learning, there is no emphasis on how to teach. This is very sad thing. And all figures told only this that our teaching methods are not good. While our 50% studetns are not getting education, the rest are getting wrong education. Read my two brains story at http://blogs.rediff.com/upashu1/ or http://educationsysteminindia.quora.com/. I am telling the basic cause for all problems of education. Informative article with good Insights. have totally consent with you. I agree with you but the fact is that colleges and universities are facing continuing declines in curriculum, and competition among institutions has turned education into an all-out marketing war.